Meet handsome Desi (Ultimate Destiny) who is 6 years old (Oct 2011) and on the smaller side for a boy (26.5 kg). 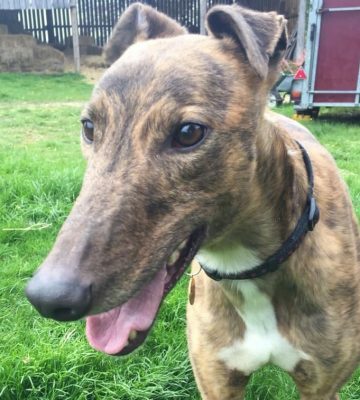 A lovely ginger brindle, he joined us in Feb 2016 and is still looking for his forever home. Desi was a little anxious at first but he has now become a very settled and affectionate lad, he loves to play with his teddies and really enjoys a fuss. Desi walks nicely on the lead but is sadly not good around other dogs, we have been working on some training with him to help with this behaviour but it’s likely he will need an experienced owner to continue this work or to accept that Desi is best on his own and away from other dogs. Desi deserves a chance in a loving home and we are sure he will repay your patience and understanding by becoming a very loyal, faithful and loving companion. He is happy to be left on his own and would love his own secure garden to play in. 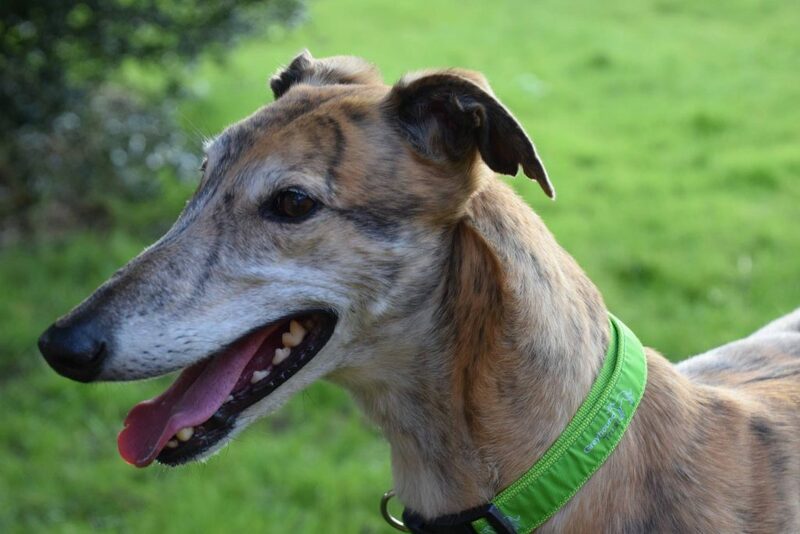 We will happily re home Desi anywhere in the UK if it’s the right home for him, or would consider a long-term foster home. He needs to go in a home as an only dog and could not live with a cat or any other small furry animals.